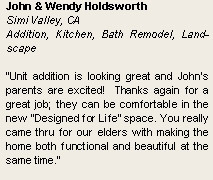 With a theme that is chosen for a particular bathroom remodeling, be it Traditional Luxury or Contemporary Zen, the possibilities of design finishes such as imported tiles and countertops, locally made custom cabinets, US made bathtubs, showers, toilets, fixtures and colors of the bathroom are practically endless and can be viewed in the showroom by the appointment, visualizing the dream bathroom remodeling as well as knowing exact budget and ordering the materials to be ready when remodeling begins. Whichever theme that is chosen, every bathroom remodeling is done with the same A to Z Construction philosophy, providing stunning finishes, bringing value and making sure that the final product will stand to the test of time. 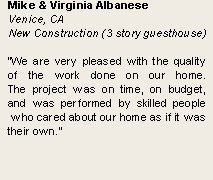 To insure this, every bathroom remodeling starts with the demolition of existing plaster walls and ceiling, tile, fixtures and haul away, installation of new cooper vertical pipes, electrical wire according to code as needed, all new GFI outlets and lighting fixtures, Insulation according to code in exposed walls and ceiling, Install drywall/green board/wonder board/ according to code, Float cement wall installations around new tub and shower as well as shower pan membranes to insure superior moisture protection that lasts. Our tile specialists are real professional tile layers, and our designers are full of ideas to help our client to turn an idea into reality. 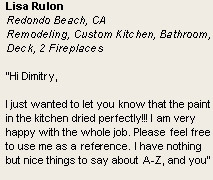 A to Z Construction custom bathroom remodeling projects last on average 12 to 15 days and while working we constantly making sure that we do it in a safe and clean environment, wrapping up and protecting all traffic areas in and out bathroom remodeling area, separating it with dust protection barriers from the rest of the house. 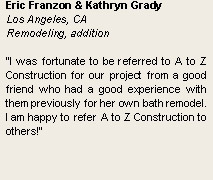 We strive to bring value and peace of mind to every bathroom remodeling or renovation in every project awarded to A to Z Construction. 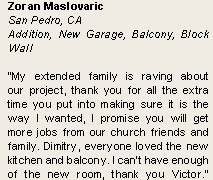 Our bathroom remodeling estimates are very competitive, and our projects are showcases that are done right the first time, on time and on budget and cost on average, depending on chosen materials, eight to fifteen thousand dollars for a complete project.